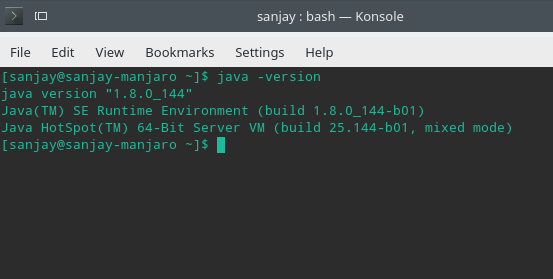 In this tutorial I am going to show you how to install Oracle JDK 8 , 9 or any version in any linux distro like Ubuntu, OpenSuse, fedora,manjaro, deepin, elementary …. , now google’s android studio (Making Android APPs) prefers Oracle JDK 8 onwards instead of Open JDK so its recommended to use Oracle JDK. First we have to download oracle jdk to your home folder from http://www.oracle.com/technetwork/java/javase/downloads/index.html , choose tar.gz version as it can be install on any linux. Suppose I have downloaded jdk-8u144-linux-x64.tar.gz. Extract using terminal ….